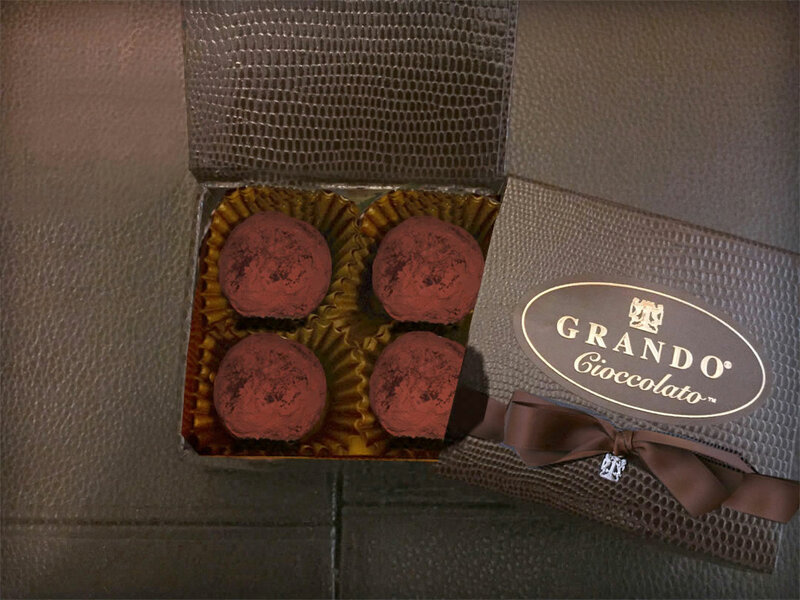 A chocolate shell infused with traditional Italian Venetian recipe of fresh cream whipped into a meringue, espresso and liquor, then dipped into another layer of chocolate that is dusted with pure cocoa powder. 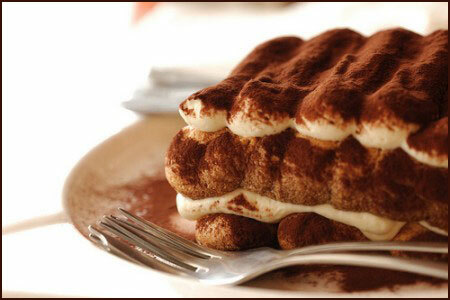 The word tiramisu means "pick me up". 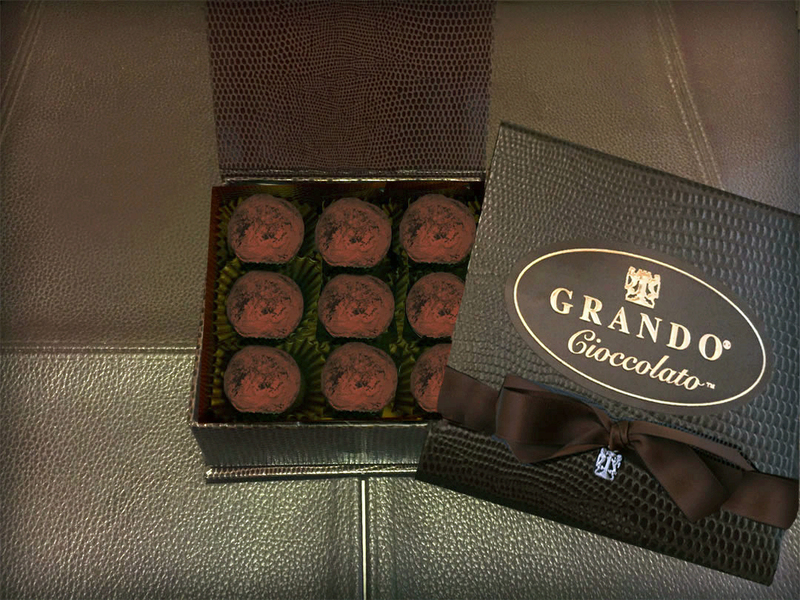 My tiramisu tartufo will pick up your taste buds and give you a taste of Veneto! 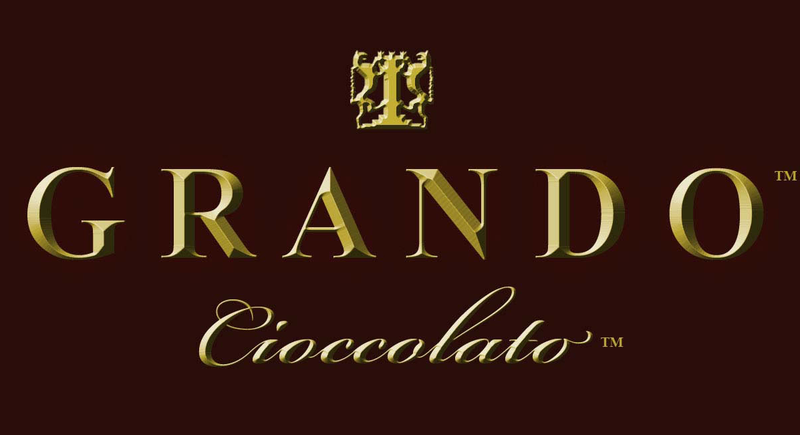 Rare Noble cocoa beans are ground in Italy into a 100% organic chocolate liquor. 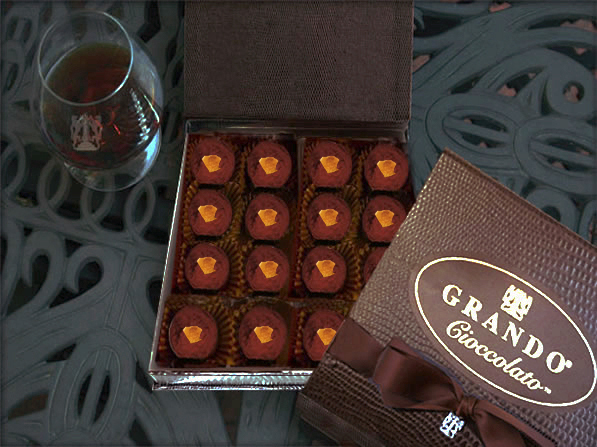 Grando handcrafts the Italian chocolate liquor into authentifc family recipes in Pasadena.